Telling a story is one of the most compelling forms of artistic expression. Whether it be someone telling a tale around a campfire, a storybook, or the latest film, it is the catalyst that makes up culture. For Linkin Park’s Joe Hahn, turntables/programmer, the art of storytelling has been something he has been drawn to since he was a child. Keeping himself busy through the years creating with Linkin Park, Hahn has been the visual mind behind many of the band’s most recognized music videos, as well as other artists such as Static-X, Story of the Year, and Alkaline Trio. 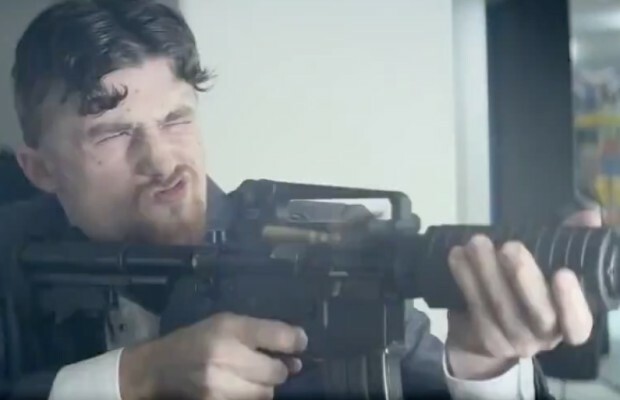 Always itching to get his hands on something new and different, Hahn came across a project by the name of Mall, which ends up being his full-length feature film debut. Recently we sat down with Hahn for a closer look into his creative world, the story behind the making of Mall, the film’s meaning, future projects, and more. 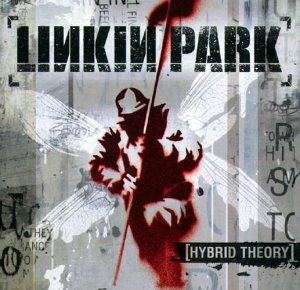 CrypticRock.com – You have achieved quite a career in music as a key member of Linkin Park. Besides music, you clearly have an affinity for film production that you showed when you began working on Linkin Park, as well as other bands’ music videos. What inspired your interest to direct films? Joe Hahn – From my childhood, I loved movies, just like everyone else. I loved Comic books and cool stories. I love just being able to use visuals to tell stories, whether it be through illustration, song, or Comics. It has definitely always been a part of the music as well, through the videos, and everything else we do. When it came time to make a film, everything just lined up and made sense. 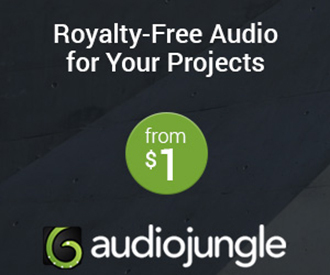 CrypticRock.com – You obviously gained experience working on the music videos as stated. It was in 2008 when you actually directed your first film in the form of the short, The Seed. 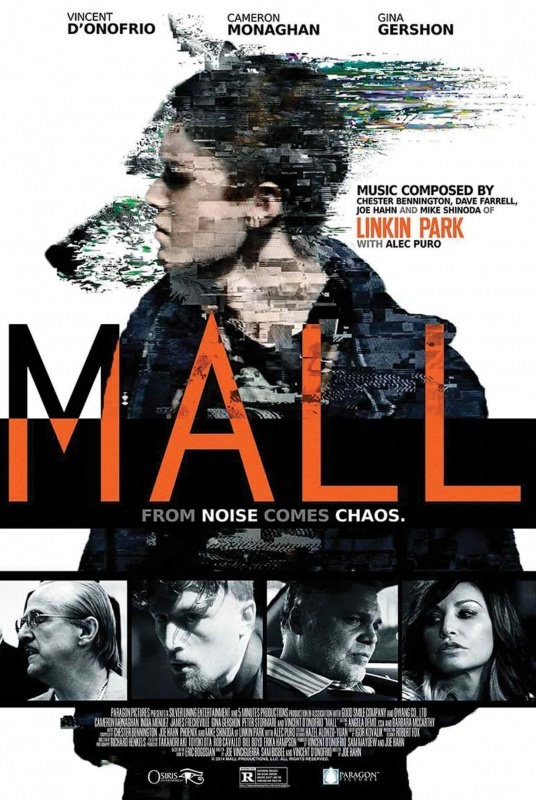 Then in 2014, you took on a new project as director and producer of the full-length feature, Mall. What drew you to the story of Mall? Joe Hahn – I am always reading scripts and trying to find things I could be associated with and to direct. I always try to find something that is truly unique, and something that I can tell the story in a very unique way. One day, Mall came my way, along with Vincent D’Onofrio, who is also the producer and stars in the film. He was developing the project, as he is actually friends with the novel author Eric Bogosian. I thought the screenplay was really compelling. There was so much about it that made me want to be a part of it and immediately the ideas started coming to mind of how I would execute it. CrypticRock.com – The film certainly has a very compelling plot and the characters are all equally enthralling, whether they are likeable or not. Was it your intention to show the imperfect human element of each character? Joe Hahn – Yes, honestly, a lot of that was in the original material, both in the book and the adaptation of it into a screenplay. I thought it was captured really well. My job is to be the visualist, have it come to life, and have the components of the words resonate as well as make sense with the audience. In the film, we had to pick a main character, Jeff, and he is the navigator in the film. All of these people are flawed and there is an honesty in that, which I thought was really refreshing. That made me really want to be part of it. Especially, these days, in response to what social media has become. I see a lot of it as people putting their best images up. Almost as if people only want to put up the best of themselves, almost like a Greatest Hits album on their Facebook page or their Instagram. I thought, in the writing of the film, they did a really good job of showing the opposite of that. The characters of the film – yes, they are flawed. They all make up components of our main character, Jeff, whether it is part of him that is like him, or a part of him that he needs to stay away from, because he is going down that path. Also him connecting with people on an intellectual or even a subconscious level. These are all warning signs in his life, telling him to pay attention to what is going on. He is able to do that through his adventures in the film. To the core, that is what really got me excited about the film, along with the main character. CrypticRock.com – It certainly is projected very well on the screen, everyone involved did a fantastic job on the film. Perhaps one of the biggest stand outs was Cameron Monaghan’s portrayal of Jeff. What was it like working with Cameron and the other actors? Joe Hahn – Everyone was great. We got to do readings with some of the actors as well as sitting down to hear what their take on it was. I knew that if their perspective was different than what I had in mind, as long as they understood the point, it was still nice to have them contributing to the creative process. As for Cameron, the best I could describe it, he was very honest with himself as a person, which allowed him to give a very honest performance. He never goes over the top with anything. With younger actors, you see that a lot. I immediately saw how he could make this character come to life. CrypticRock.com – He most certainly did a phenomenal job with the character. The movie does have a powerful social message. It is clear, but it is not shoved in your face. Just when you think it is going one way, it goes in a completely different direction. Was it difficult to keep changing the flow of the film in the subtle fashion you did? Joe Hahn – Yes, there was social commentary in the film. There were very many layers of it as well. I think it is showcased in different ways through each character. For me, it is important to show, not tell. Ultimately, it is about the story being told, not about the message, although, it definitely has a message going through it. It is a coming-of-age story where you see Jeff grow up in twenty-four hours, and then it finishes where it starts, on that grass. When you are watching it, you are never really sure if any of it is real, or if it is all in Jeff’s head. That is important, because it is about who this guy is and deciding who he is as a person. By the end of the film, you hope that is for the best. I do not think everyone catches that. I think it is fine if you do not get it though, because works both ways as a film, but if you do see that possibility, it opens up the potential even more. 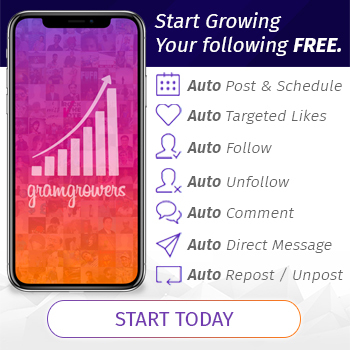 CrypticRock.com – That is a great point to drive home for viewers. One of the most pronounced points in the film is the disconnection that we all have as human beings in modern culture. Was that a point you really wanted to instill? Joe Hahn – Yes, I think there are varying degrees with it. The mall represents a little bit of that disconnection. I thought the mall was a perfect analogy. It is a place where people can congregate and make themselves feel better. Sometimes it is a necessity, because you need certain things, but for the most part, the mall represents things you do not need. It is something that fulfills an inner desire, like wanting better clothes or whatever it may be. For the most part, people have what they need and they do not need all of this stuff. Some of it is consumerism. Some of it is filling yourself with empty things, that emptiness that is already there. It is also interesting because malls are a little bit of a dying institute as well. That adds to the depression of it all. On top of that, some of the choices I made in the films description are with a lot of analogies. For example, the analogy of animals indicates the primalism that is within humans, how that relates culturally, and the fact that there is this primitive being inside of all of us. We see that in different ways. There is a lot of subtle somatic analogies in the beginning. Jeff actually talks about it when he refers to George Orwell. The way I saw it was, the human race is the most intelligent beings on earth, with the second being monkeys. The difference between us and the animal kingdom is that we have a higher level of intelligence, but also a choice that goes along with that. The mall represents a cage, a zoo, or whatever that might be. The difference is, we as people choose to put ourselves into that situation. We do not have to go there, but we choose to put ourselves into that trapped state. CrypticRock.com – Exactly, it really is put together very well. My last question is pertaining to Horror films. CrypticRock.com covers a broad range of music and movies. We are interested if you are a fan of Horror films, what are some of your favorites? Joe Hahn – I do like Horror movies. I am not cult fanatical about it, but I think Horror movies are undeniable. I do not watch them so much because my wife hates them; she generally gets freaked out (laughs). I think some of the recent Horror movies have been great, such as The Purge films. The beginning of the Saw series I liked as well. There was The Conjuring (2013) that I thought was really cool. 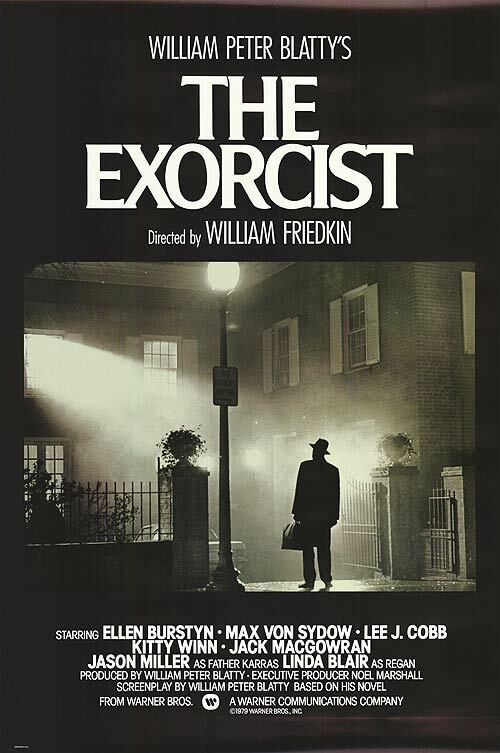 Of course, going back to The Exorcist (1973) and all the George Romero Zombie films, even the more recent Zombie films. I am a big Martial Arts fan, so all of the Kung Fu films, mainly the Bruce Lee films, have been a big inspiration for me, all the way to more recent Ong-bak (2003). Actually, right after High School, I went straight to Art School where I met Mike Shinoda. I only went to school for about a year, and then I started working as a Special Effects designer/illustrator. I primarily dealt with character design and storyboarding. I got to work on more Sci-fi films like The X-Files (1998) and the TV show The Outer Limits (1997). As far as Horror, I worked on Species (1995) and this other movie called Phantoms (1998). There was also a movie called Sphere (1998) that had a little bit of Horror in it, but it was, for the most part, Sci-fi. I have been in and out of it. I think that is why I have kind of shied away from getting into Horror films as a director in the entry level, because I did work in the periphery in that industry. For a long time, I did not see it as much of a challenge, but I am definitely open to Horror films. It just has to be the right one, of course. 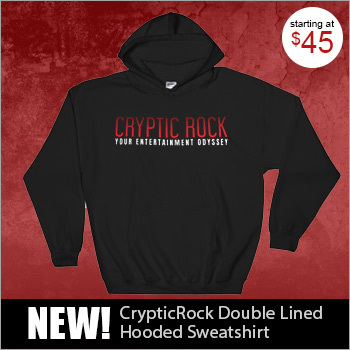 CrypticRock.com – That is great that you have been so involved in film. 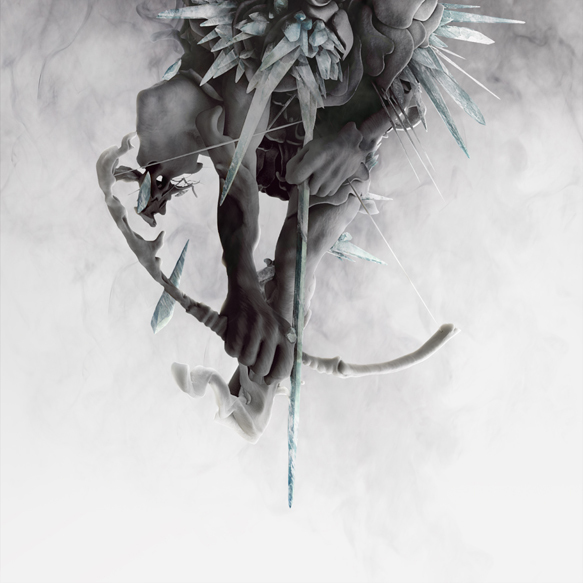 You remain on tour in support of Linkin Park’s 2014 album The Hunting Party through this year. Are there any plans for further filming projects after the tour is completed? 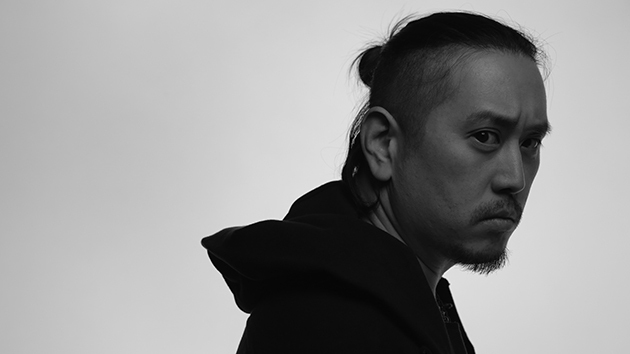 Joe Hahn – There is nothing in pre-production or even production at the present time. I am actually trying to find my next project now. I do have some personal projects that I am developing. I am considering doing my next installment of The Seed, which was the short film that I did back in the day. I feel like it has been influential in some ways because I have seen other films borrow from it. I think that is pretty cool though. I am doing less music videos these days because the record companies do not support it as much as they used to. I definitely want to keep directing, keep producing, and keep creating things, whether it be music, film, or art.